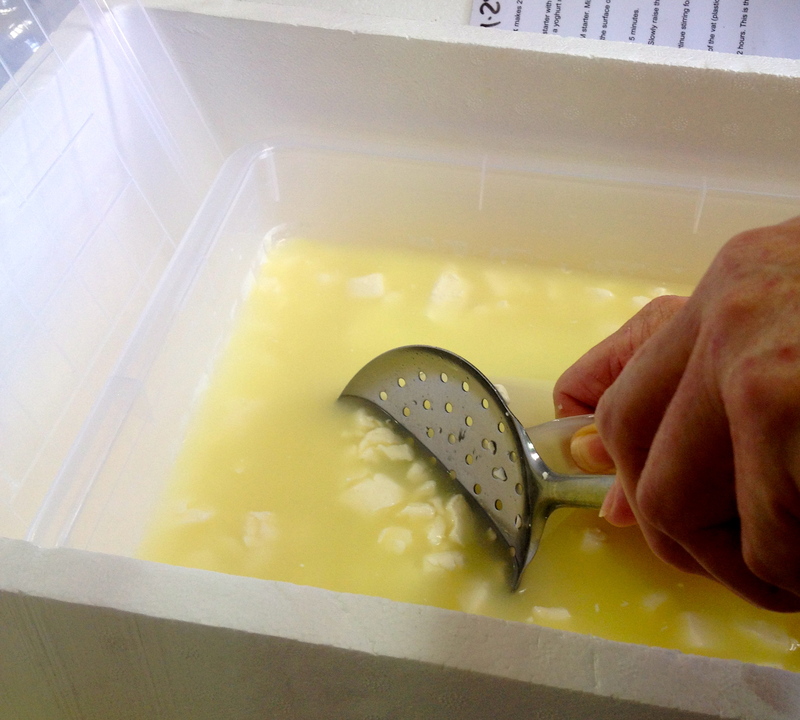 Turning the whey – after gently heating milk and mixing in rennet and bacteria or starter. Then letting it set a little and cutting it. 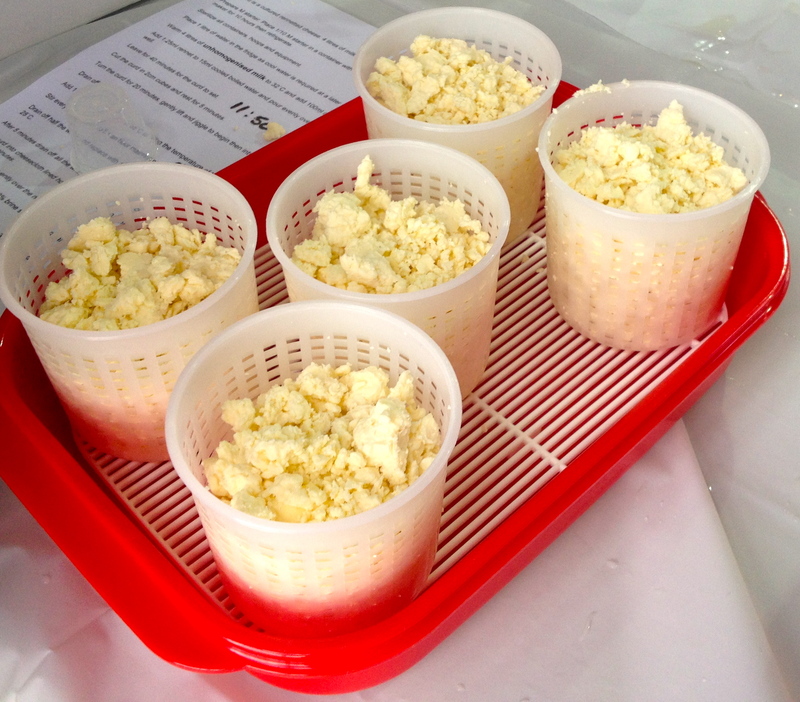 Last year my friend and I attended introductory cheese making classes at High Valley Wine and Cheese at Mudgee run by The Cheesemaking Workshop and had a wonderful time making soft cheeses, including camembert, fetta, ricotta, quark, marscapone and yogurt. Over the weekend we ventured into advanced cheese making with hard cheese such as cheddar, havarti, haloumi as well as mozzarella and blue vein. I think this was the mozzarella. 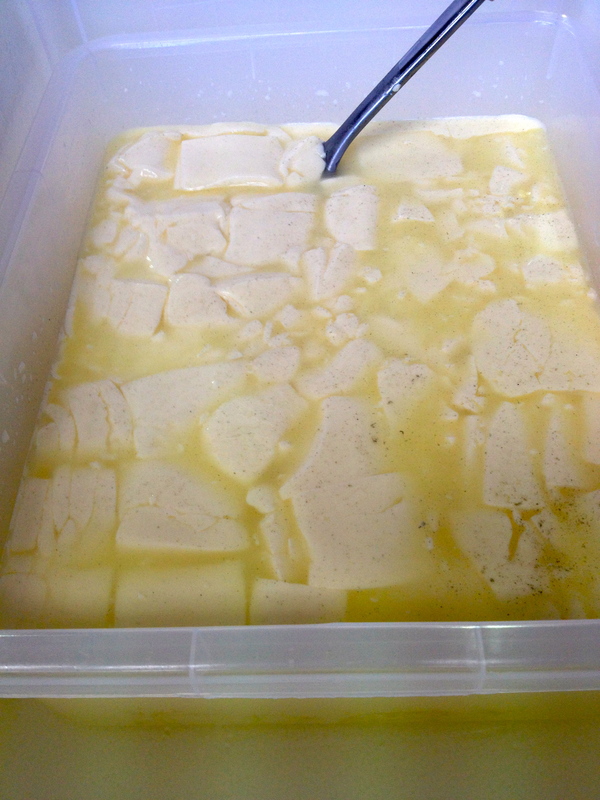 Note how this has thickened into a single “blob” rather than the creamy curds. 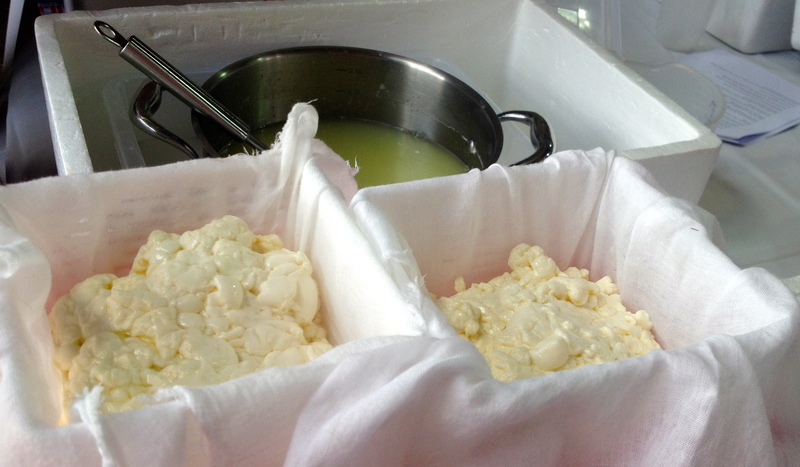 Draining the whey so we can set the cheese in hoops. Lots of fun and lots to learn. It’s continually surprising to see the different varieties you can produce with the same base ingredients but different temperatures, techniques, timing and, of course, bugs. 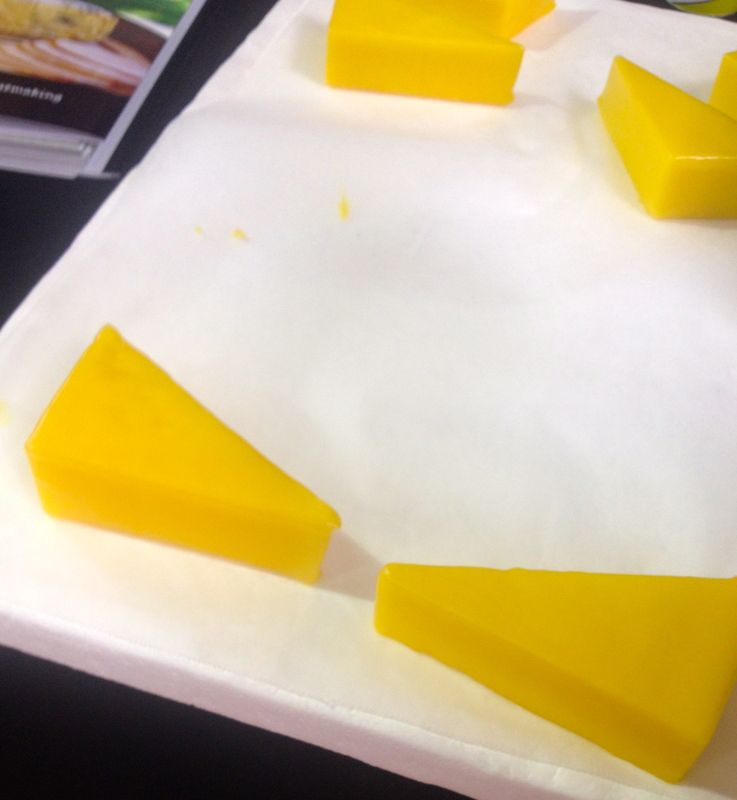 Anyway, at a fast pace we worked on five cheeses in teams of five and had the opportunity to mix, cut, turn, heat, wash and drain whey to come home with multiple cheeses to mature before eating. 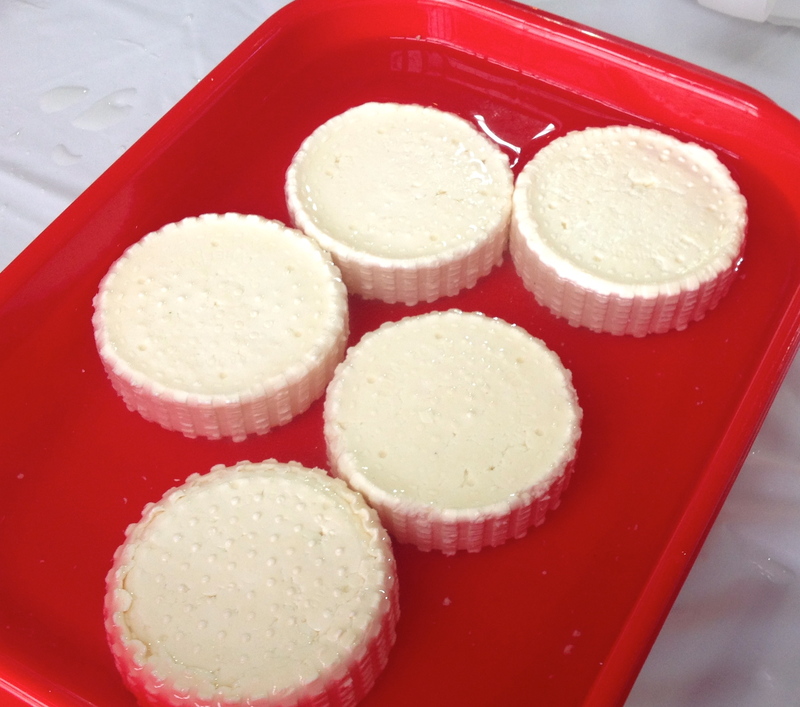 Some of the cheeses such as haloumi and mozzarella can be made and eaten the same day. 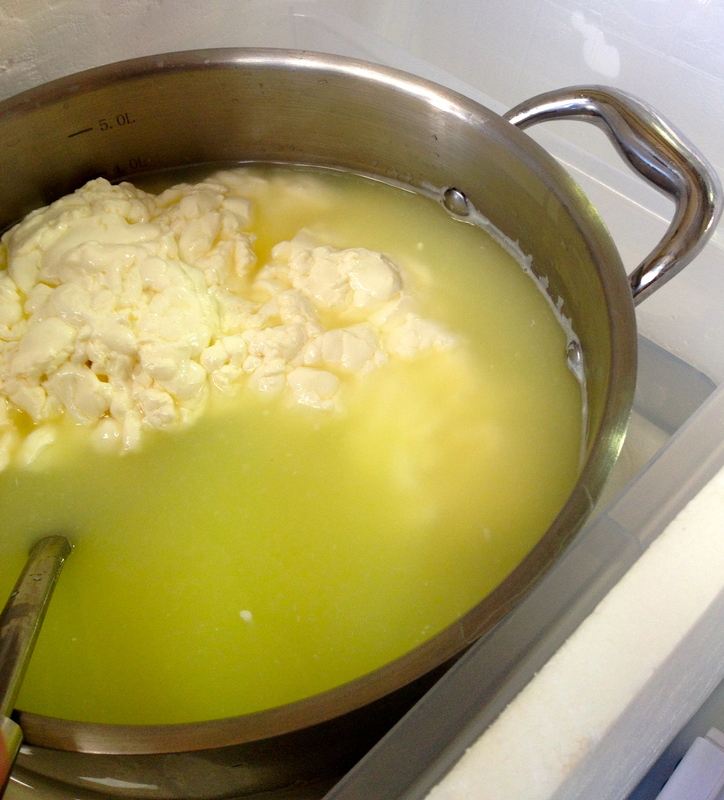 Draining cheese in hoops. I believe this is the haloumi. This is the cheddar draining. I already usually have yogurt and ricotta in the fridge and churn any spare cream into butter rather than throw it out, but now plan to expand the efforts considerably. The mozzarella an haloumi will be great additions for the fridge. I’d encourage anyone to give it a go. Whilst it’s much easier after attending classes and buying a kit, it’s also something that can be picked up after a bit of research and practice. 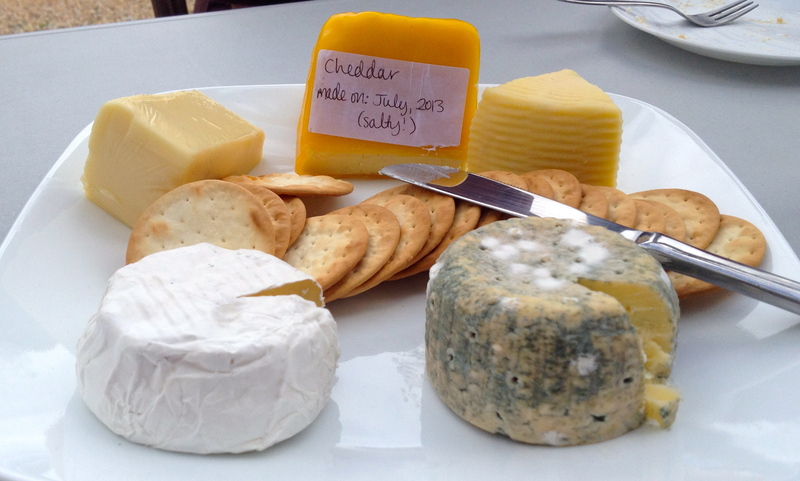 A sample plate of the cheeses we learnt at the workshop. Little havartis that will be dried. You too are making me so hungry! *two even. It’s been a long morning.